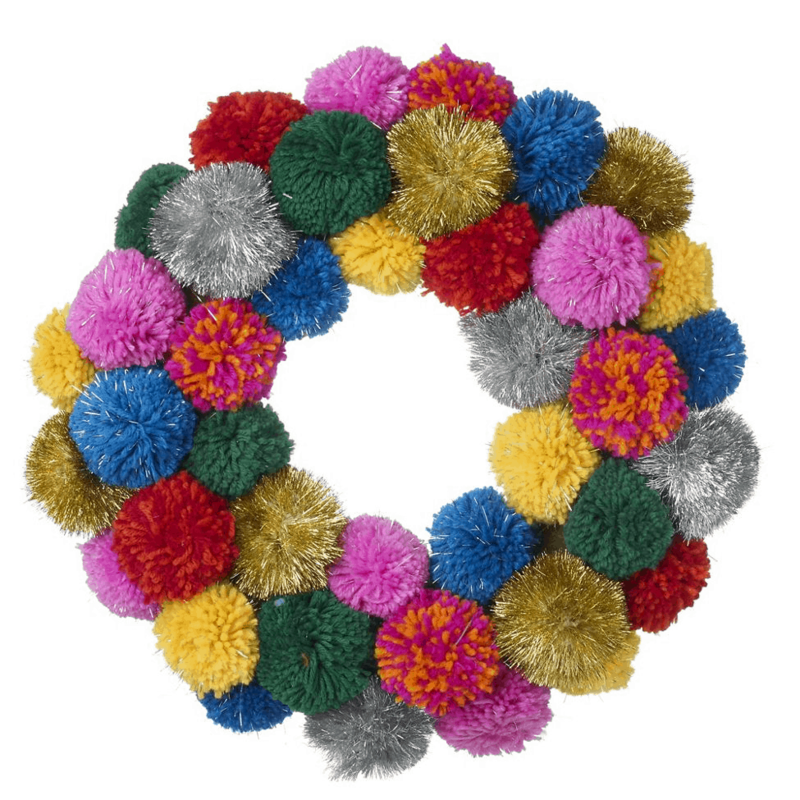 First up is Debenhams' Heaven Sends Multi-coloured Pom Pom Wreath. A far cry from traditional wreaths, this brings a modern twist to festive fun and will be a vibrant addition to your front door. You can buy now for £30 and get great savings if you add it to Debenhams' 3 for 2 bundle deal across Christmas decorations. Want something more classic? 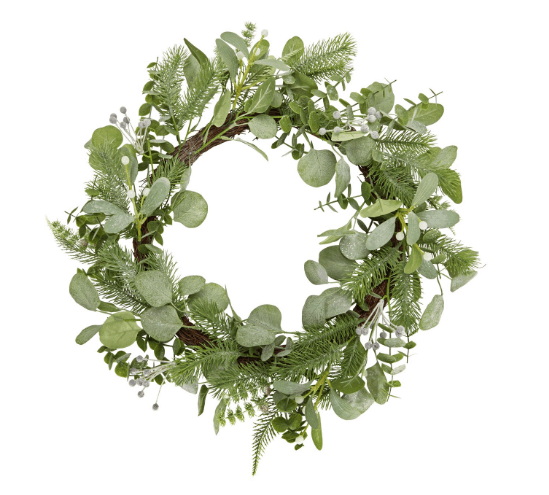 In the left corner we have Argos and their Winter's Mist wreath, combining a beautiful arrangement of foliage and frost kissed berries. With 25% off, you can buy now for a bargain price of £15. As bargain hunters, it's important we always back the cheapest deal. That said, if you buy a couple more decorations from Debenhams, you could be saving even more than £5! We love the bright pinks, yellows and blues of the pom pom wreath and think it's a unique alternative to more traditional Christmas decorations. Round 2: Lights, Lights and... Lights! If there's one thing you need a lot of when it comes to Christmas, before presents and definitely before sprouts, it's lights! If you can't see your home from space, you've failed. But who will bring the most with their selection of lighting options. 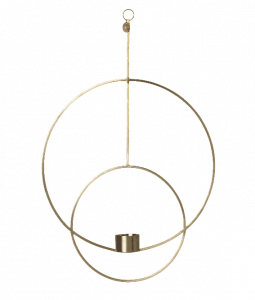 For something minimalist and delicate, Made in Design's Circular Candlestick hanging ornament is an elegant addition to the home to hang from your ceiling. Although timely for Christmas, you could afford to have this piece of home decoration all year 'round. Especially when you consider its £65 price tag. 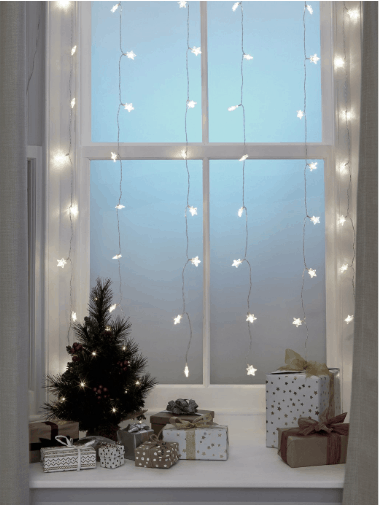 Light up the home and even your window with this stunning Star Curtain, now just £12 with a 25% saving from Argos. You can put up this fantastic curtain style arrangement of fairy lights anywhere, but we think they're beautiful illuminating your window. Bring the snowstorm indoors with Belleek Living's snowflake luminaire, available at Debenhams, now just £26.25 down from £30. 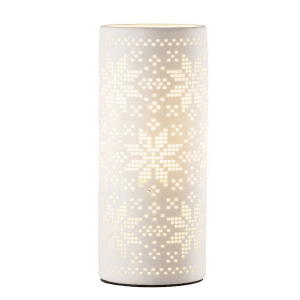 Providing a warm glow, enjoy the festive snowflakes it makes that'll have you getting cosy under your blankets in the winter evenings. There's nothing quite like the magic of snowflakes and we think Argos has this one in the bag. Cheap and cheerful and a great start to your festive display. Now for your tree masterpiece. Every year it's more than likely you'll make a new addition to your ever growing collection of Christmas ornaments and baubles and we want to weigh in on our picks to add some extra festive cheer. So let the fight commence! 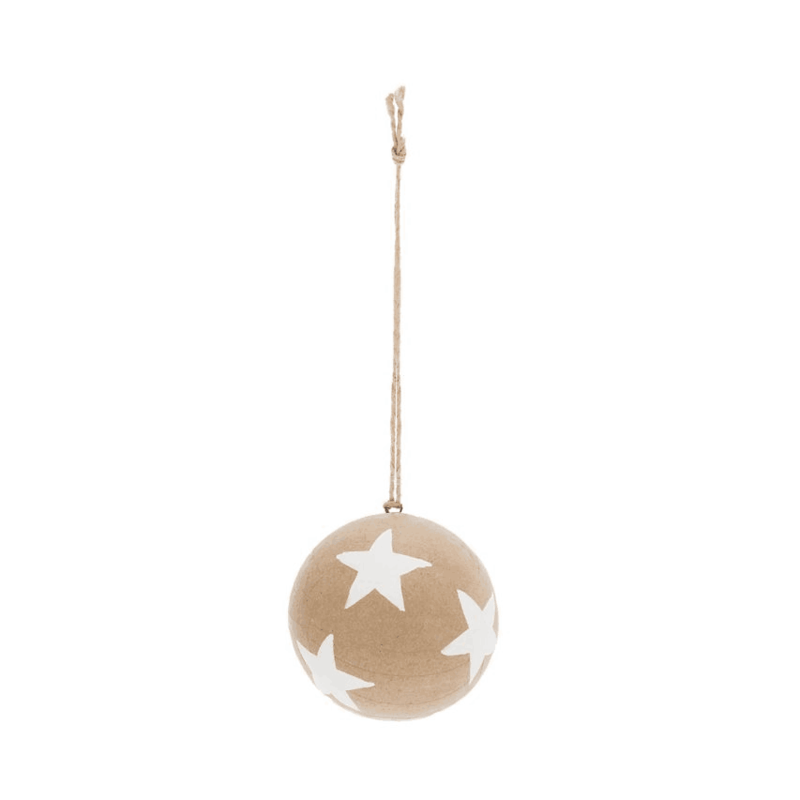 Whether or not you're going for a colour scheme with your tree, we think the Parlane Light Brown Paper Star bauble is the perfect addition from Debenhams. Neutral in tone, we love the cute star design. £6 per bauble, this could work as a great stand alone addition, or buy a few as a motif for your tree. Who doesn't love a bit of Disney? You can count the Discount Promo Codes team in, so it comes as no surprise that we are enamoured with the Disney Traditions range at Argos. Buy Beauty and the Beast and Snow White tree ornaments. 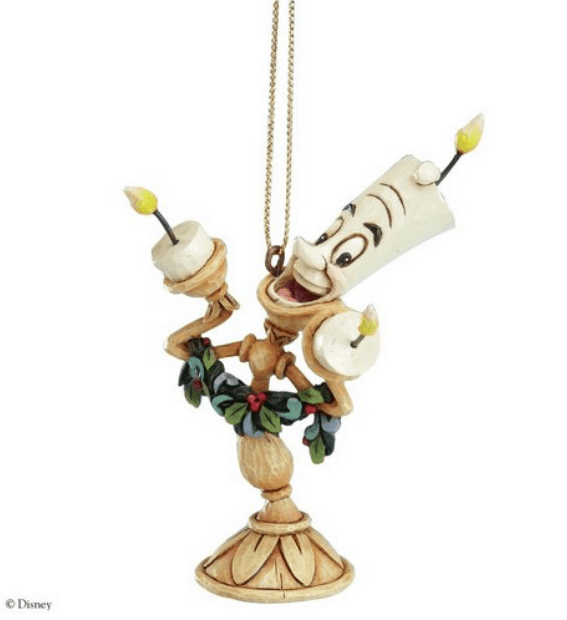 Our pick would be the charming Lumiere for £14.99. If you go on the Made in Design website and don't come away completely in love with everything they sell, then we're not sure what to say to you. 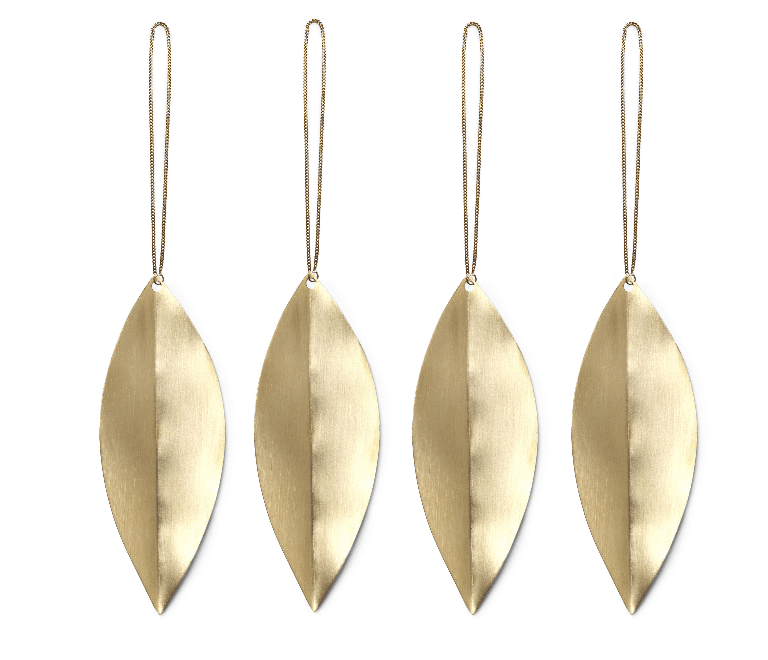 We especially love the simplicity of the brass Leaf Christmas decorations that come in a set of 4. 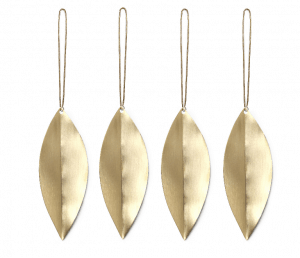 Though £20, we can already picture how pretty they'll look hanging from the Christmas tree. 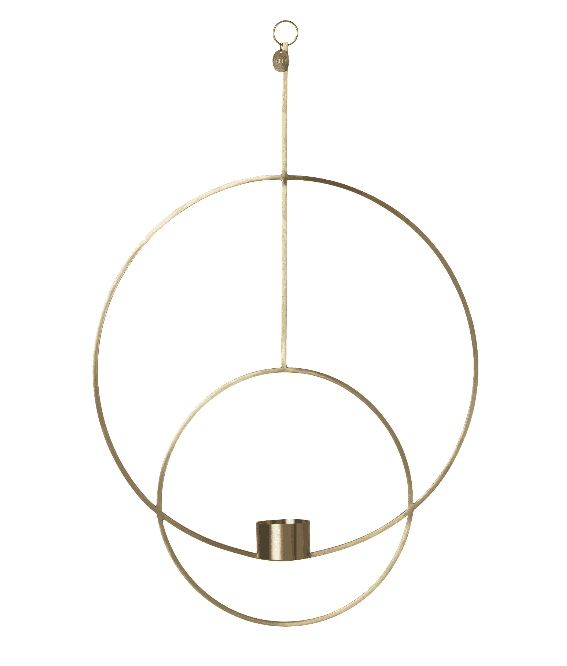 You've probably guessed it, but we're completely in love with the brass leaf ornaments from Made in Design. Whatever your style when it comes to decorating your home at Christmas, there's definitely something out there for everyone and right here in our guide. So deck the halls and fill your home with Christmas cheer. It's almost December and we're giving you permission to start feeling festive now!